Living Warriors is a new support group, offering a safe space for anyone who has lived through an attempted suicide. Runs The Living Warriors project, a peer support group for people who have attempted suicide and who live with suicidal thoughts. She started the group last February after becoming increasingly frustrated with the lack of support offered to her and others like her. The Scottish Government is carrying out a review of the arrangements currently in place for investigating the deaths of people in hospital for reasons of mental illness, personality disorder or learning disability. This includes people who have died by suicide. The information provided by these surveys will help to inform a final report which will be presented to the Scottish Parliament in December 2018. These surveys form part of the Scottish Government’s work to review the arrangements for investigating the deaths of patients — who at the time of death were in hospital, voluntarily or subject to detention, for treatment for mental disorder — as set out in section 37 of the Mental Health (Scotland) Act 2015. • staff members who work for NHS Scotland, a local authority, a third sector organisation, a social care provider, or an independent healthcare provider. For more information about participating and how The Scottish Government will use the information - please see the attached leaflets at the bottom of each respective link to survey. Or forward this post onto anyone that may be interested to take part. The deadline for both surveys is the 24th September 2018. The JNF is making an urgent appeal for funds to keep its doors open to people at risk of suicide. The Joshua Nolan Foundation (JNF) was set up in 2014 after Founder and mother Laura Nolan lost her son, Josh, to suicide. Having experienced first-hand the difficulty in accessing the right services and support, Laura decided to set up the charity to help others who are at risk of suicide access specialist counselling. With the demand for our services increasing, we are currently helping more people than ever. Sadly, due to lack of funds, for the first time ever we have had to stop taking on any new clients. The charity, which relies entirely on the support of donations from the local public and businesses to carry out its work, has provided specialist counselling to 30 people who are at risk of suicide since January 2016. The foundation now faces closing its doors for good if it doesn’t receive urgent funding over the coming weeks. Matthew Middler, Chairman of JNF said “Every day two people in Scotland take their own life and suicide is the biggest killer of men between 20 and 49. The JNF was set up to help tackle this huge issue and provide people with the specialist counselling they need. The JNF has helped so many people already. Now more than ever we need the support of the public to continue providing these vital services”. JNF will be marking the anniversary of Josh’s death today Saturday 18 August, with a walk around Arthur’s Seat. The charity will also be launching their ‘Save JNF’ campaign which will encourage people to dig deep and help this important local cause. Matthew continued, “We are calling on the generous people of Edinburgh to save JNF and to help keep our doors open to the many people who need our help. Just £40 pays for one counselling session which could be a vital part of someone’s journey to recovery. £1000 pays for a full block of sessions, which may just save a life”. At the beginning of 2018 the team at JNF launched an ambitious campaign to recruit several superhero volunteers to join the charity’s Board of Trustees. For the first time, this Sunday (29 July), JNF staff, Board and new Trustees assembled for the first time for a strategic planning day. New members of the Board of Trustees are Lee Fitzgerald, Nicola Gunn and Chris Marks. This week JNF founder Laura Nolan was asked to appear on BBCNews to talk about the path that led her to starting her own charity and her thoughts on the government's new pledge to support mental health in Scotland. She joined Professor Rory O'Conner, University of Glasgow Suicidal Behaviour Research Lab, who is heading a new brief intervention scheme for people in Scotland. The scheme will offer support to people after being suicidal as a preventative measure against self-harming in the future. 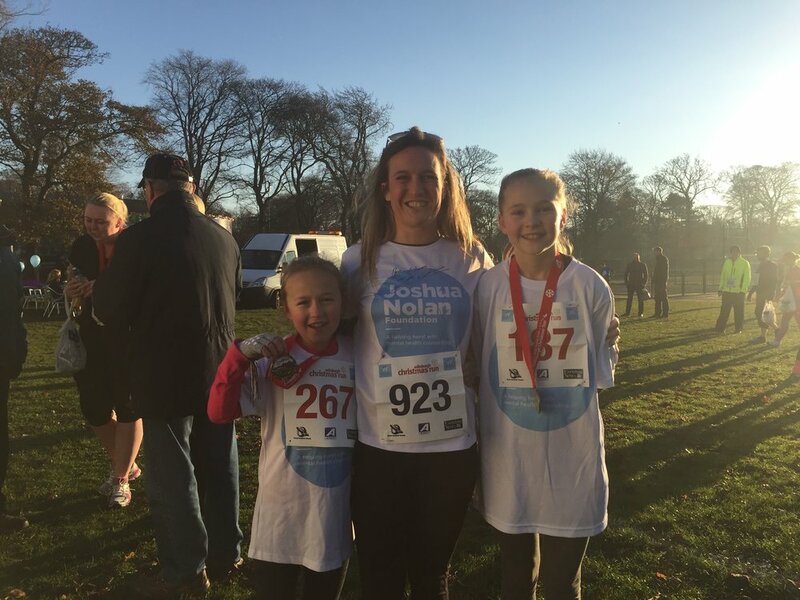 The Joshua Nolan Foundation raises awareness with regard to suicide and it's prevention, supporting suicide prevention activities here in Scotland and around the world. Alongside this the charity offers financial support for those who have either lived or direct experience of suicide to gain access quality counselling and peer support. Education, prevention and public engagement around suicide is at the heart of JNF. The charity is active in schools in Edinburgh and Lothian areas to promote more knowledge and less stigma around mental health and wellbeing for young poeple. The new scheme led by Professor Rory O'Conner, and which Laura and the team at JNF support, has been developed out of research into an intervention help sheet that may be helpful for some people in reducing the likely-hood of self-harming again. This trial was developed with the idea to then use in clinical practice, and with funding they have been able to secure this next stage. It will be a tailored intervention getting people to think about warning signs and triggers that might lead them to self-harm. Visit Transforming Mental Health through Research to learn more. JNF had an amazing sunny day promoting the activities of the charity and raising much needed funds to support those at risk of or effected by suicide to access counselling and support. With the help of our wonderful volunteers you raised £500 - so a big thank you to all of you who donated on the day. For JNF and our wee team the fundraising event came at the end of a very sad and powerful week of messages and media coverage around suicide, the effects and how we might all be better equipped to prevent and support those at risk of suicide from taking their own life. We can all be left feeling overwhelmed and helpless at points in our life. So even more so, although small, JNF is ever the ambitious Edinburgh based charity - and we are determined to make a positive response to the rising numbers of Suicides happening here in Scotland. Here at the Joshua Nolan Foundation we believe every suicide is preventable. Today we are delighted to announce a rare opportunity to join our team and help to reduce the numbers of suicides in Scotland. We are seeking up to six skilled and talented volunteers to join our Board of Trustees. As a Trustee you will be responsible for the governance and strategic overview of the charity as well as have the opportunity to work closely with staff and volunteers to grow and develop the work we do. A full application pack can be found here. We wanted to share today a little advice and knowledge from JNF founder Laura. Here are her thoughts on young people, brain development and building resilience for the future. New science has found physical differences between the brain of a teen and adult. We now know that the brain does not fully form until we are around our mid 20"s in age. This means that our brain will go through many stages of development before that point which effects our ability to learn, make friends, understand feelings and emotions, and cope with life. So it is really important that a young person and their family know about this and understand what is going on with certain behaviours that are stereotypical around this time. These changes in brain development can make teens and young adults take more risks at this age than they would at any other point in their life. This 'risk taking' behaviours is the part of the brain craving reward due to the depletion of dopamine - the chemical that makes you feel happy. Knowing now that the pre-frontal cortex in the brain is still developing which creates a strong desire for reward (whatever the risk) might explain a lot of stereotypical teenage behaviour. The good news is that the brain is fully developed at 25…. so hang in there mums dads and kids!!!! We are super chuffed to be a part of this amazing new Scottish start-up. Here is co-founder Eishel Quinn telling us all more about the partnership with JNF and how it all works. Having the Joshua Nolan Foundation available on Sustainably means a lot to us. I think we all, at some time or another in our lives, go through struggles with mental health and we are very proud to have JNF as a great cause available on Sustainably. The work they do not only helps people in a time of need, but the education they give to schools is helping to create a new generation of people who can be more empathetic to one another and help other young people to understand that they are not alone and the emotions they face are normal. Can it be that simple? Every time you buy something, you do something good? Aside from buying ethical, fair trade, organic and locally sourced, is there another way? At Sustainably our mission is to change the world every time you shop... with your spare change. Our micro-donations and give on the go technology platform makes giving anywhere frictionless, transparent and secure. By simply rounding up your everyday transactions and giving your spare change to good causes of your choice automatically, every time you use a card or connected device, you can do good every day. You probably wont notice the spare change, but the good causes you support definitely will. Set it and forget it, track your impact over time and feel good about the difference you’re making. By connecting your credit and debit cards in our app, you allow us to track and round up your transactions. We automatically round up your spare change to the nearest £1 and give it to the causes of your choice every time you make a transaction using your cards or connected devices. To set up round ups, select a good cause you want to support, and add the credit or debit card you wish to connect to your account. Then every time you shop on that credit or debit card or a connected device linked to it, you pledge to give a round up. We take your round ups as a separate transaction when they reach £5 and distribute it to the cause of your choice. With Sustainably, you can give to good causes on your terms. Give instantly without giving out your personal details or even stopping, and feel good about the difference you’re making. Be sure your money is going straight to your chosen registered charity. Get an update telling you what’s happening with your money, and complete privacy, so no unwanted direct mail, calls or texts. With Sustainably you get to give with complete privacy, transparency and control, so giving is completely hassle free. All you have to do it visit www.sustainably.co to register your card with us and choose the cause you want to support. You can add in your gift aid details and we will process gift aid on your behalf. After that, all that’s left to do is shop as normal… and we automatically round up your transactions and give your spare change to the causes you care about every time you make a purchase on that card. You can log into your Sustainably account at any time to see your impact, and pause it or change it whenever you like. CHANGE THE WORLD EVERY TIME YOU SHOP! Detox Health Beauty Day takes place on Sat 12th May – a retreat day with an incredible host of experts from the world of health, wellbeing, fitness, beauty and much more. Come along to sample super healthy food, fresh juices, yoga, meditation & much more. A day aimed to enrich your body & soul. The fantastic team are also fundraising for JNF! To book tickets visit here or for those of you who have already got your ticket have a look at all the amazing things to see and do on the day! We will also be present on the day to talk about upcoming projects, and how you can get involved. After a couple of months of planning, we are excited to announce the launch of our new website. We wanted our new website to better show what JNF is all about, meeting the team, trustees and all our lovely supporters. Plus we wanted to make it easier to navigate through and find out more on the support JNF offers, how the process works and who to contact if it is urgent or more general advice you may be looking for. There is new information on who we collaborate with, our partners and ambassadors who all do an amazing job of championing a cause they are passionate about. 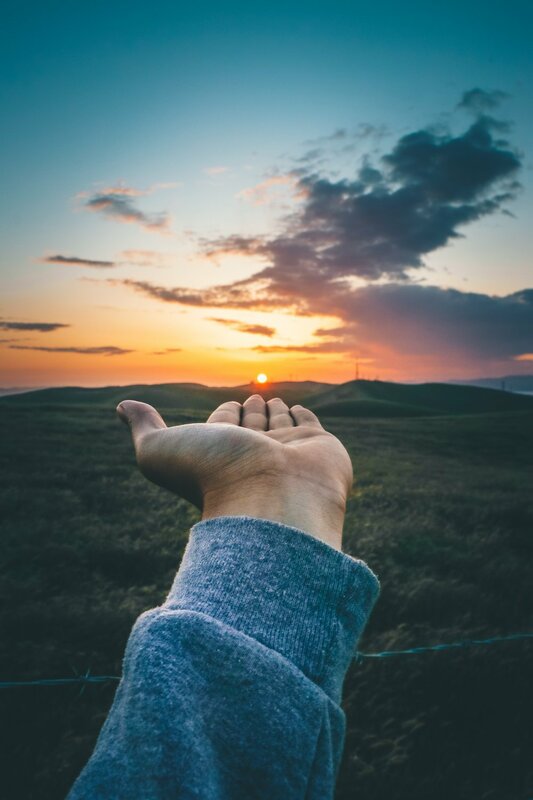 Oh and check out right here in our latest news blog for all our current activities, projects and things we want to share with you that can support our body, mind and spirit. We really hope you like the fresh new look to the website and the improved navigation that will allow you to find the information you need more quickly and easily. We will be continuing to make updates over the next month so please check back in for those. Finally..... We value your opinion! If you want to contact us then we would love to hear from you - all comments and feedback on the new website are very welcome. We do hope you love it but also if there is anything you can't find/access or would like to some new information not already there - let us know.